Do you know BOBO? The penguin? No?! Then it's high time to do so! BOBO comes from the South Pole, but unfortunately was taken away from his home on a fish. And so he began his adventure around the globe alone, and has got to know more and more people. A seagull at the equator, an ice-cream salesperson in Italy, a duck in the mountains and many more. At some point BOBO arrived in the mountains and learnt to ski. 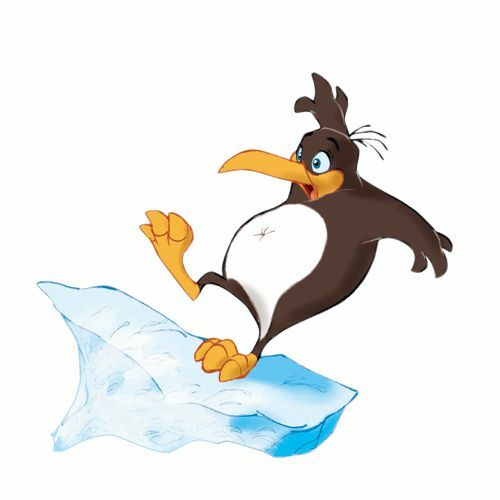 If you want to know what other adventures he's had, click on the link below and download BOBO the penguin's adventure as an audio book!